The teaching of Sri Aurobindo starts from that of the ancient sages of India that behind the appearances of the universe there is the Reality of a Being and Consciousness, a Self of all things, one and eternal. All beings are united in that One Self and Spirit but divided by a certain separativity of consciousness, an ignorance of their true Self and Reality in the mind, life and body. It is possible by a certain psychological discipline to remove this veil of separative consciousness and become aware of the true Self, the Divinity within us and all. Sri Aurobindo's teaching states that this One Being and Consciousness is involved here in Matter. Evolution is the method by which it liberates itself; consciousness appears in what seems to be inconscient, and once having appeared is self-impelled to grow higher and higher and at the same time to enlarge and develop towards a greater and greater perfection. Life is the first step of this release of consciousness; mind is the second; but the evolution does not finish with mind, it awaits a release into something greater, a consciousness which is spiritual and supramental. The next step of the evolution must be towards the development of Supermind and Spirit as the dominant power in the conscious being. For only then will the involved Divinity in things release itself entirely and it become possible for life to manifest perfection. But while the former steps in evolution were taken by Nature without a conscious will in the plant and animal life, in man Nature becomes able to evolve by a conscious will in the instrument. It is not, however, by the mental will in man that this can be wholly done, for the mind goes only to a certain point and after that can only move in a circle. A conversion has to be made, a turning of the consciousness by which mind has to change into the higher principle. This method is to be found through the ancient psychological discipline and practice of Yoga. In the past, it has been attempted by a drawing away from the world and a disappearance into the height of the Self or Spirit. 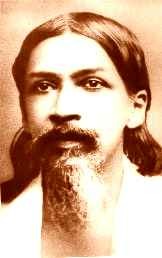 Sri Aurobindo teaches that a descent of the higher principle is possible which will not merely release the spiritual Self out of the world, but release it in the world, replace the mind's ignorance or its very limited knowledge by a supramental Truth-Consciousness which will be a sufficient instrument of the inner Self and make it possible for the human being to find himself dynamically as well as inwardly and grow out of his still animal humanity into a diviner race. The psychological discipline of Yoga can be used to that end by opening all the parts of the being to a conversion or transformation through the descent and working of the higher still concealed supramental principle. This, however, cannot be done at once or in a short time or by any rapid or miraculous transformation. Many steps have to be taken by the seeker before the supramental descent is possible. Man lives mostly in his surface mind, life and body, but there is an inner being within him with greater possibilities to which he has to awake - for it is only a very restricted influence from it that he receives now and that pushes him to a constant pursuit of a greater beauty, harmony, power and knowledge. The first process of Yoga is therefore to open the ranges of this inner being and to live from there outward, governing his outward life by an inner light and force. In doing so he discovers in himself his true soul which is not this outer mixture of mental, vital and physical elements but something of the Reality behind them, a spark from the one Divine Fire. He has to learn to live in his soul and purify and orientate by its drive towards the Truth the rest of the nature. There can follow afterwards an opening upward and descent of a higher principle of the Being. 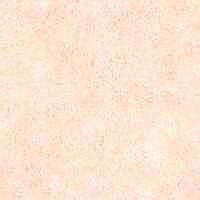 But even then it is not at once the full supramental Light and Force. For there are several ranges of consciousness between the ordinary human mind and the supramental Truth-Consciousness. These intervening ranges have to be opened up and their power brought down into the mind, life and body. Only afterwards can the full power of the Truth-Consciousness work in the nature. The process of this self-discipline or Sadhana is therefore long and difficult, but even a little of it is so much gained because it makes the ultimate release and perfection more possible. There are many things belonging to older systems that are necessary on the way - an opening of the mind to a greater wideness and to the sense of the Self and the Infinite, an emergence into what has been called the cosmic consciousness, mastery over the desires and passions; an outward asceticism is not essential, but the conquest of desire and attachment and a control over the body and its needs, greeds and instincts are indispensable. There is a combination of the principles of the old systems, the way of knowledge through the mind's discernment between Reality and the appearance, the heart's way of devotion, love and surrender and the way of works turning the will away from motives of self-interest to the Truth and the service of a greater Reality than the ego. For the whole being has to be trained so that it can respond and be transformed when it is possible for that greater Light and Force to work in the nature. In this discipline, the inspiration of the Master, and in the difficult stages his control and his presence are indispensable - for it would be impossible otherwise to go through it without much stumbling and error which would prevent all chance of success. The Master is one who has risen to a higher consciousness and being and he is often regarded as its manifestation or representative. He not only helps by his teaching and still more by his influence and example but by a power to communicate his own experience to others. This is Sri Aurobindo's teaching and method of practice. It is not his object to develop any one religion or to amalgamate the older religions or to found any new religion - for any of these things would lead away from his central purpose. The one aim of his Yoga is an inner self-development by which each one who follows it can in time discover the One Self in all and evolve a higher consciousness than the mental, a spiritual and supramental consciousness which will transform and divinise human nature. Sri Aurobindo Birth Centenary Library, Vol. 26, "Sri Aurobindo on Himself", pp. 95-97.